Inspired by the incredible tone, features and iconic styling Blackstar's award-winning Artisan hand-wired amps, the Artist 30 30W 2x12 tube guitar combo is an incredibly responsive amplifier that is packed with iconic guitar tones. Artist Series amplifiers feature channel switching, Blackstar's patented ISF tone shaping circuit, reverb and an effects loop to create the ultimate vintage-inspired amps for a wide range of classic clean and crunch tones. 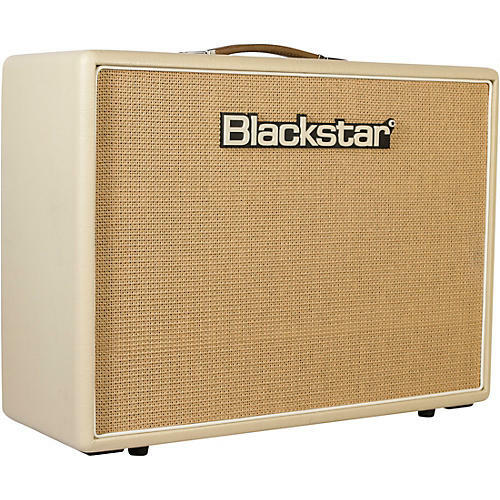 Powered with 6L6 tubes and outfitted with Celestion V-Type speakers, these amps deliver 30 watts of pristine and expressive Blackstar tone perfect for plugging straight in or pairing with your favorite pedals.